Developer grade HTML web design template (zip file download) configured for optimal viewing on all mobile devices, tablets, smartphones, laptops, plus both PC and Mac desktop computers. 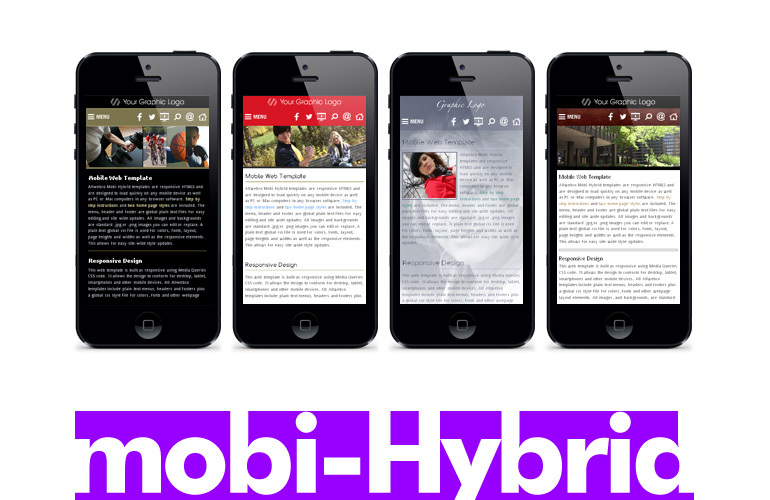 The mobi-Black mobi-Hybrid® web template is a budget priced complete stand alone HTML5 / CSS3 website layout that includes a set of built-in multiple formatted webpages, global css styles, a plain text global menu & footer, dynamic slideshows and contact page. SEO friendly HTML and CSS with mobile optimization built-in, our mobi-Hybrid® designs pass the Google Mobile Friendly Test and rate high for user experience at Google Pagespeed Insights. For both professional developers and designers as well as first time webmasters and novice users. Step by step instructions and support are included. 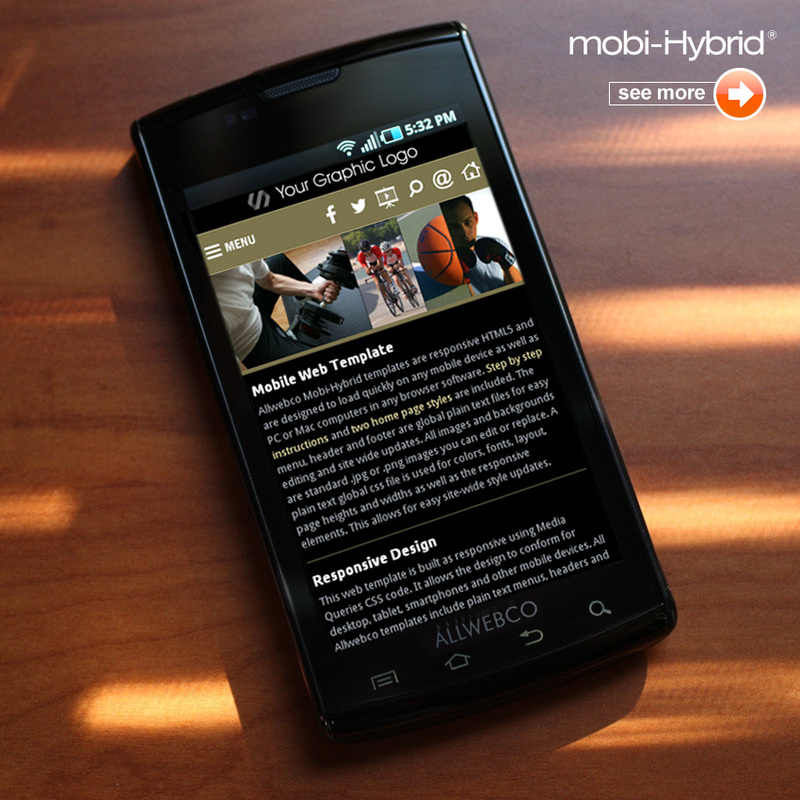 See How to Build a Mobile Friendly Website.